When it comes to increasing blog traffic, producing content on a regular basis is just but a start. You might already be publishing regular content but do you have an active audience engaging with it? Be it a yes or no, every blogger, eCommerce development company or business seeking an online presence, needs an audience that is constantly growing. So how do you increase traffic to your blog? Not only will these tips help you quickly improve your search engine rankings, but they will also allow you to generate free traffic to your blog. Your visitors will then have the opportunity to comment on your articles, like your social network fan pages, tweet your articles, and comment on your videos. Visitor interaction plays a big role in the (fast) ranking on the first page of Google. On the other hand, the sharing of your content will generate new traffic to your blog. Better yet, it will also create back links and promote the creation of a community on your blog. Let’s explore these nifty tips on how to boost blog traffic and create a loyal readership that comes back regularly to your blog. The first look at your blog will either attract your readers or leave them disinterested. The explosion of blogging as a career has set the bar up high. Readers are looking to enjoy the aesthetic appeal of your blog as much as they are seeking quality and valuable content. You may have to spend a little bit more money to create a professional blog, but you need to do it. Create a first impression as a serious blogger and your readers will take you seriously from the get go. At the very least, your blog should have a professional appeal. You can improve it with time by changing the design. I would like to assume that when creating your blog, you have a target audience in mind. Creating a blog is just one step. You need to position your blog within the right market. That means, your blog should be easily accessible to a specific audience that will find value in the content you publish. Many bloggers start blogging as a hobby. The trajectory of blogging has changed significantly in recent times, so that some bloggers are now earning a decent income from their blogs. The possibility of getting an income from blogging is a good enough motivation to be strategic about doing it successfully. 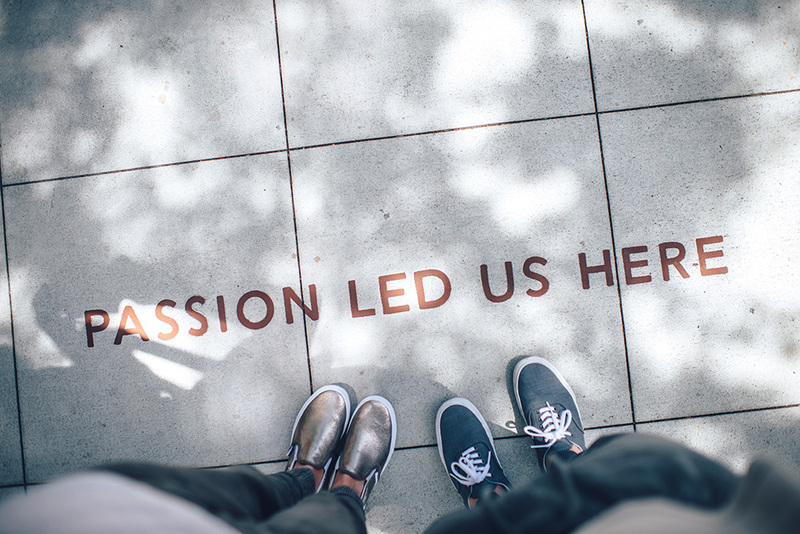 Where does your passion lie? That’s the first place to look when deciding what theme to pick for your blog. Is it fashion, technology, marketing, or sports? Be certain that you pick your strongest area because you are certainly going to be more successful there. Advertising and affiliation can be paid for each click on your banners. You can also earn commissions when you generate a sale. However, this is the least profitable way to monetize your blog. The sale of services including consultancy is particularly suitable for blogs as it is a showcase of your expertise and will bring you much more revenue. The sale of products, online services, and training. Now that you have refined your blog’s theme, you need to define your personas next. Personas are typical profiles of readers (and customers) that you want to attract to your blog. For what type of audience do you highlight a real problem? And offer a solution? Who is the customer to whom you bring the most value? Which customer would be willing to pay for your advice, expertise, knowledge, and products? What kind of potential customer does not come to your blog (and you would like to attract)? Feel free to add a maximum of details to your personas such as photos, hobbies, or salary range. You will refine these profiles with time but they will allow you not to address the crowd. You will instead speak directly to your potential customers. You need to use their vocabulary and target their problems for which you are offering a solution. By focusing your attention on your personas, you will attract more customers and generate many more leads. Everything in business requires that you sometimes pause and evaluate your strategies. Blogging is no different. Why are they generating so much traffic (and not you)? What needs are not covered by these blogs? By using different media: Infographics? Images? Slideshows? Podcasts? Youtube videos? A mix? By increasing the value of your articles. Use more photos, more media, detailed guides or otherwise ultra-short and fascinating articles. Not all content is the same when it comes to creating traffic. SEO content allows you to strategically position yourself by responding to a problem that users are asking. Unless you have a team of editors, do not try to comment on the news. You will usually be the 62nd blogger to talk about the new Apple Watch. With so many people writing about the same thing, you will have no chance to rank in Google. Prefer content that solves the problems your target readers are facing. Viral content makes it possible to create traffic thanks to sharing on social networks. Viral articles play on emotions such as sadness, joy, anger or desire. You can also use article formats that work well as lists including “How to” articles or “10 ways to” (solve a certain problem). Guest posts allow you to take advantage of the audience of bigger sites to generate traffic towards your site. Reach out to other bloggers and ask to be a guest blogger on their site. It would help to study these blogs and come up with relevant pitch topics to present to bloggers. The biggest challenge when starting a blog is to get it to rise above the collection of many other blogs on the web. Google takes about 6 months to position your articles correctly in its rankings. Starting by writing articles in your blog is, therefore, not the most efficient way to get your traffic to grow quickly. Engage social media for instance. Where is your prospective audience spending time? Once you are able to list at least three places to start with, prioritize them based on the estimated timeline for results to start trickling in. Your most available audience will be your greatest partner in boosting your blog traffic. When you start blogging, you will see every blogger as a potential competitor. This is both true and false. In reality, there is room for everyone. Just as you look up to some bloggers, others will look up to you. Partner with bloggers at your level to help promote your items and level up together. Writing your articles is only one part of the blogging task. The promotion of your articles is as important. Traffic from search engines will allow you to generate visits to certain items for years. That said, how do you promote your articles? Use your email lists: Take advantage of your traffic to request the emails of your readers in exchange for guides, ebooks, and exclusive documents. Subscribers are your most loyal readers. They will gladly relink your articles or even pass the links on to their blog. Use your network of bloggers: Your network of bloggers can increase your visibility and help you reach a bigger audience. This calls for your to reach out to them. Use social media networks: You will notice that I have not yet talked about social networks. Simply because, your community on Facebook or Twitter will grow as you publish great content on your blog. Once you have demonstrated that your blog is profitable (thanks to your services or products), you can invest in your presence on social networks to propel even further your content, and grow your community while generating sales. Consult this guide to choose the most appropriate social network to promote your blog. Use Advertising: If you are able to calculate the number of leads and sales you generate through advertising, you should indeed push your best articles on networks such as Twitter and Facebook or LinkedIn. To increase your blog traffic exponentially you need to industrialize your content production. The more you write more, the more you will increase your writing speed. When I started blogging, a guide like this could take me 3 days to write. Now, 4 hours are enough. Your confidence and expertise also increases as you pick up your writing pace. You will more easily identify which content may work better than others. Automate a maximum of tasks: Planning and creating a strategy for managing your blog is an important ingredient for success. Follow Google Webmaster Tools (install it if you have not done so already), to improve your keyword placement and optimize the traffic of your already published articles. Track the number of email addresses you collect daily and increase your subscriber list. A list of relevant emails of your target audience will create an opportunity for your content to reach the right people. Follow the opening rates of emails you send to your subscribers to make sure your emails are read. Focus on continuous improvement. Your blog will explode not because you have written 1000 more articles but because at some point, your blog will be optimized enough so that each new article has a strong impact. Creating a blog does not require technical knowledge but you will never get monster traffic without training yourself. You need to proactively seek the right knowledge on marketing. Learn about strategy, ergonomics, SEO, social networks; even if your blog is about cooking or lifestyle. Without continuous learning of the best marketing techniques, you will simply extend the number of years needed before you break through (or give up). Learn some programming. I am not saying that you have to be a computer scientist. However, you need to put in some effort to understand how HTML works. Learning how to modify quickly the design of your blog will be more than useful for you. It will help you test new approaches without waiting for your external provider to watch and modify your blog. How much commitment are you willing to invest in your blog? Without complete involvement in your blog’s growth, you will have slim chances of increasing traffic to your blog. This is true for personal as well as company blogs. Many executives want to see their marketing managers get inbound marketing. The problem is that the task to “manage the blog” cannot be done at the end of the day. You do not ask your sales representative to take care of your customers from 5.30 PM, do you? Likewise, you need to dedicate the best hours of the day to managing your blog. Generating income from your blog is possible when you use the right strategy. By starting relatively early to prepare a return on investment, you can gradually understand the value of what you are building. You can then learn how to make your blog a priority in your life, in your tasks and in your budgets. Make a personal commitment to publish quality content on a regular basis for at least 1 year. When you look around, you can see successful bloggers who have a massive following. What they will tell you is that is takes great patience and hard work to be successful. Be consistent in putting out content and improving on the quality of your blog. Respond quickly to your reader’s needs depending on the feedback you get. You should never stop optimizing your blog to improve conversions. Blogging successfully requires total commitment to learning the ropes. You need to proactively seek knowledge on how to blog professionally. Take the time to learn from other bloggers who are more successful as well as those on your level. Getting in touch with other bloggers regularly will keep you motivated to remain consistent, patient and to keep improving your art. The blogging world is changing rapidly. If you truly want to succeed in gaining increasing blog traffic, use these savvy tips to stay on top of your competition. Be ready to keep re-inventing yourself because readers’ expectations keep rising higher. Their taste for blogs is also getting more refined. Thus, if you want to be a force in blogging, aim to go above and beyond. Aim to be the best. The following piece is a collaborative effort of Inkedhubwriters team led by Daisy, as well as Junaid Ali Qureshi who runs a Magento eCommerce agency. We are the writing and publishing arm of Witflair.com, a PR and communications firm. We handle all forms of business writing, to empower brands to engage in solid written communication.